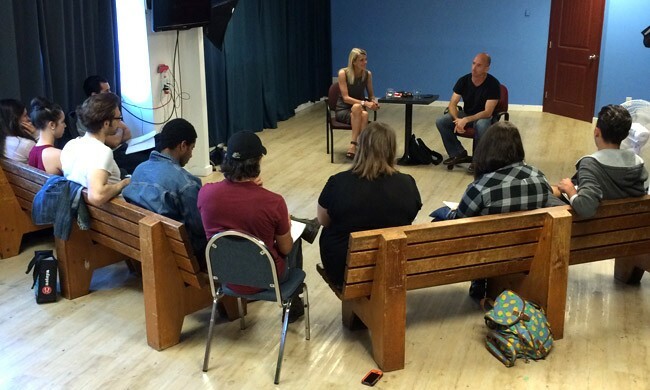 This is the longest-running course for film & TV acting in Vancouver. From Winnipeg to London to Vancouver, Julie Howgate has trained, performed and taught in theatre, TV and film for well over a decade. Expert at teaching beginning actors, she has introduced over 500 students at the Centre to the thrill of acting. European credits include Brookside (BBC), Soul Survivor (Trisquare), and French National commercial “Orange”. North American credits include Hallowe’en 8, The Gut Girls , US national “Got Milk” commercials and character voice work for Da Vinci’s Inquest . Julie just made her directorial debut with Alan Ball’s Five Women Wearing the Same Dress for Kindred Spirits. She brings with her the eclectic background and positive attitude needed to facilitate true acting. Interested in Acting for Film & TV - Level I?